Project Perfect Mod :: View topic - C&C Red Alert History: Release 6 Beta is now available. C&C Red Alert History: Release 6 Beta is now available. Posted: Tue Aug 28, 2018 4:12 am Post subject: C&C Red Alert History: Release 6 Beta is now available. Madin has released a new beta version of C&C: Red Alert History, which is a mod for Command & Conquer 3: Tiberium Wars that brings the Red Alert universe (mostly RA2) into it. 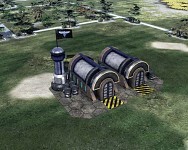 It is beta stages, so you'll still see C&C 3 buildings leftovers and Red Alert units are not finished yet. Nonetheless, what does this mod has so far already looks interesting. I have fixed the exploit which allowed you to load a Terrorist into a Half Track, turn it into a 'Bomb Track', and then unload the Terrorist while still keeping the 'Bomb Track! Unloading the Terrorist automatically cancels the 'Bomb Track'. The Kirov MkII handling is different. It has less issues now. The Skirmish AI will no longer build the basic Kirov. The AI was so in love with the basic Kirov that it refused to build the Hind! So the only option was to block the AI from building the Kirov. Beware of the Hind! (especially if the AI upgrades it). 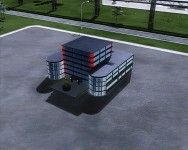 The Hospital or Veteran academy will benefit everyone that is allied to you, also the benefits of multiple Hospitals will stack! To download the mod and obtain more information about it, head to C&C: Red Alert History ModDB Profile. And if Madin is looking for a better place to host forums for it, he will be welcomed at PPM. That's it for now, have fun!